LET THAT PRIDE FLAG FLY! Be sure to check out The WORLD’S LARGEST pride flag, painted by world-renowned chalk artist Chalkmaster Dave. Join us the entire week from August 7th to see the artist at work and become a part of this monumental occasion! 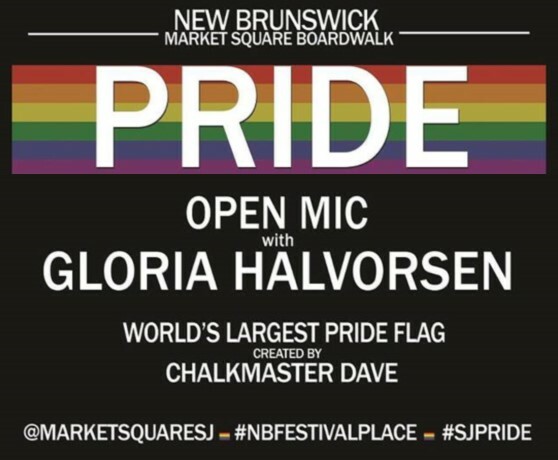 Festivities will continue August 11th with Gloria Dawn Halvorsen hosting the Pride Open Mic at 8pm. We proudly unite to celebrate the diversity of all walks of life with an array of family and nightlight festivities! Free of charge, rain or shine!